"Natural" Diabetes Treatment is essential. Any diabetes treatment that does not include optimizing your nutrition is not really a treatment. Unfortunately, medicine focusses on keeping your blood sugars within a normal range- as long as that's being accomplished, you're "treated". As usual, this is just a bandaid solution of treating the symptom rather than the underlying problem. Diabetes has become a worldwide epidemic. It affects almost 10% of the population- and this rate increases every year. Every 10 seconds, someone dies from diabetes-related causes and 2 people develop diabetes. The worst part is that half of the people with diabetes don't even know they have it. By the time they're diagnosed, years of damage has been done and it's often too late. It's the complications of diabetes that are the killers. From 50-80% of diabetics will die from cardiovascular disease, like a heart attack, stroke, aneurysm or peripheral neuropathy. Diabetes is the leading cause of blindness in developed nations and is responsible for a third of cases of kidney failure. Sorry to be such a downer, but it's so senseless. "Up to 80% of type 2 diabetes is preventable by adopting a healthy diet and increasing physical activity. "- a quote from the International Diabetes Federation. Our couch potato lifestyle just accelerates the incidence of this disease. The average age of diagnosis just keeps getting younger and younger. Type 2 diabetes used to be unheard of in children. Now with childhood obesity and inactivity becoming almost normal, it's getting relatively common. Scary! Of course, Type 1 diabetes obviously can't be prevented or treated with a natural diabetes treatment. It definitely helps it though. I have an entire page dedicated to Type 1 diabetes, but finish reading this page first, because the majority of the information applies to both types. Why is Natural Diabetes Treatment Essential? Despite the fact that diabetes treatment has improved immensely over the last 50 years, death and complications of the disease have not improved at all. In fact, you could make a case that it's actually worse. That's because treatment is always focused on keeping your blood sugars in normal range. If you go back one step further and treat the underlying insulin resistance that causes the high blood sugars, now you're preventing the complications too. Information EVERYONE needs to know, whether you have diabetes or not. Remember how half of diabetic patients don't even know they have diabetes? Here's why: it's a disease that develops gradually over several years and just progressively gets worse, so it can take years to notice the symptoms. First you develop insulin resistance. This is where your body doesn't respond as well as it should to the insulin being produced. So then it has to make more. 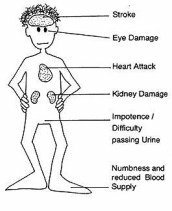 After years of producing more and more insulin, eventually your pancreas just can't keep up and gets "worn out". That's when you get type 2 diabetes. But you can have insulin resistance for 15-20 years before it progresses to actual diabetes. The problem is that when you have insulin resistance, your arteries are aging 33% faster than they should be. Yes, for every 3rd birthday, add on 1 more year! That's why 60% of people have full-blown cardiovascular disease by the time they are diagnosed with diabetes. Another wonderful side effect of having all that insulin in your body is that insulin tells your body to store fat. It's true. It's one of those "chicken and egg" scenarios- does obesity lead to diabetes or the other way around? So if you've noticed that you've been gaining weight for no reason you can think of, especially around your middle, there's a good chance you've got insulin resistance. These three "symptoms" (insulin resistance, cardiovascular disease & diabetes) have been referred to as Syndrome X or Metabolic Syndrome. Because if you have one problem, generally you have all three. Even at this point, you can use the principles of natural diabetes treatment to actually reverse Metabolic Syndrome and prevent diabetes. Have you heard of the Glycemic Index? It is basically how quickly your body converts the foods you eat into sugar. The faster that happens, the higher the glycemic index of that food. You want to choose low glycemic foods as much as possible, because if your blood sugar spikes past a certain point (which happens when you eat high glycemic foods), it causes all sorts of inflammation in ALL parts of your body, but especially your blood vessels. When your blood sugar spikes, your body makes a bunch of insulin to bring it back down in order to stop the inflammatory damage. When it spikes really high, it usually ends up coming down too low (that's the energy crash you get after a sugar high). Since your brain needs sugar to work, then your body makes you crave something that will bring it back up quickly- another high glycemic food. Thus starts the glycemic roller coaster. 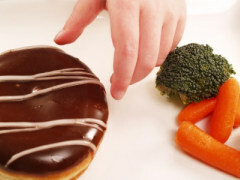 So what you may think is "cravings" is just your body's normal response to the foods you are choosing. When you eat low glycemic foods, the sugar is released more slowly into your bloodstream. Not only does this keep your hunger satisfied longer, it's much healthier since you're avoiding the inflammation. AND it's the key to losing weight- when you decrease your insulin levels, instead of your body storing fat, it actually starts using it for energy. So you're not just losing weight, you're losing FAT. Woohoo! Forgive me for pointing out the obvious at this point, but eating a low glycemic diet is probably the #1 natural diabetes treatment, since you're a)keeping your blood sugar levels at a low, even level and b)decreasing your insulin requirements. Eating a low glycemic diet is as easy as educating yourself on which foods are low glycemic. Basically, think low or no processing. Things that take a long time to digest are your best bets. You would be surprised at what foods are very high glycemic and therefore not very healthy- for example potatoes, white rice, white bread and pasta are actually worse than sugar. A more thorough discussion is beyond the scope of this website. I've digressed enough- I apologize for the biology lesson, but I really couldn't talk about natural diabetes treatment without talking about glycemic index, could I? 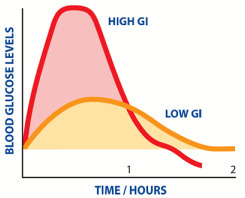 Click here to find out more about the glycemic index and a list of low glycemic foods. How do antioxidants fit into a natural diabetes treatment? Chronic inflammation experienced by those with Metabolic Syndrome or diabetes actually leads to plaques in your pancreas similar to those found in the brain of those with Alzheimer's disease. (They actually think the two diseases may be related, which I find fascinating, but I digress again...) Of course the more plaques (holes) in your pancreas, the less insulin you'll be able to make. Remember how antioxidants are natural anti inflammatories? Reduce the inflammation and voila! Reduce the damage to the pancreas. Studies have actually shown that people with Impaired Glucose Tolerance (the last stages of insulin resistance before you're actually diabetic) or "pre-diabetes" have significantly lower antioxidant levels. The increased level of oxidative stress from the constant inflammation caused by high blood sugars depletes your body's normal stores. Those who actually have diabetes have even more oxidative stress and people with the lowest levels of antioxidants were the ones with the most complications, like cardiovascular disease or retinopathy. Based on these studies, experts recommend adding antioxidant supplements to "traditional" therapy to prevent the complications. There is lots of research that shows how alpha lipoic acid can prevent and even treat diabetic neuropathy. At the Mayo Clinic, they actually were able to cause diabetic neuropathy in a way that proved it was caused by oxidative stress (free radical damage). They were able to reverse the damage by giving alpha lipoic acid. AND if the person had high levels of alpha lipoic acid beforehand, they did not develop the neuropathy. On top of its antioxidant defense role, vitamin E also seems to improve insulin resistance. In fact, having a low vitamin E level is actually a risk factor for developing diabetes- you're five times more likely to get it. In case I haven't been clear enough, the key to actually "treating" type 2 diabetes is to correct the underlying insulin resistance that causes it in the first place. We are WAY too over-reliant on medications for diabetes treatment. All doctors would agree that proper diet and exercise would help diabetics. What they don't stress to their patients (partly because many of them don't realize) is that it is actually the BEST defense against the killer complications from the disease. Aside from what I've already discussed, there are many other nutrients that improve insulin resistance. I've digressed from antioxidants too much already on this page, so I really can't list them all. What I will tell you is that it's pretty much impossible to get the amount of antioxidants and nutrients you need to prevent diabetes complications from diet alone. 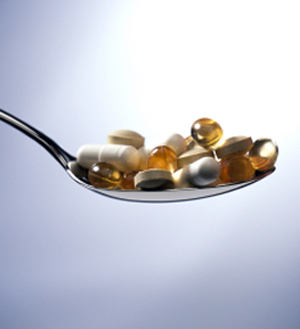 You need to take a supplement to get the amounts you need. If you haven't already read my page on antioxidant supplements, let me tell you that you need to be extremely careful in your choice of supplement. The fact is that MOST of what's available is pretty much useless and a total waste of money. Don't underestimate the power of these recommendations. 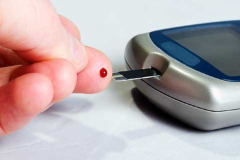 Most people are able to at least decrease their diabetic medications, if not eliminate them altogether. One man in the early stages of type 2 diabetes actually reversed the disease itself and is no longer diabetic! Just take a few seconds to fill in this form and you'll receive the information within minutes. And don't worry... your information will never EVER be seen by anyone except little old me to get you the information.